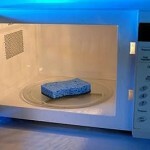 Researchers at the University of Florida found that microwaving a kitchen sponge for two minutes killed 99 percent of all living germs and bacterial spores in sponges and pads, including E. coli, in about a minute. – be careful when removing the sponge from the microwave, as it will be hot. Handed a piece of paper? Might be germy. 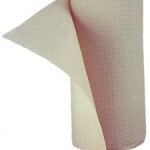 There’s new evidence that handling paper flipped through by your unwashed colleague can also bring germs to you. Researchers in Germany had volunteers handle paper contaminated with four kinds of common bacteria, including E. coli and staph. The study found that the germs survived on the paper for at least 72 hours (3 days!) and could be cultivated from those same sheets a week later. This study shows that bacteria not only survive on paper, but can also be transferred from one person’s hand to paper and back to another person’s hands. Also, don’t think a quick swish under the faucet is enough. You need to work up a good lather with soap and water for about 10-15 seconds and scrub thoroughly before rinsing well and drying your hands. If dry skin is a concern, try using a moisturizer after washing.